Being an artist can be a rough gig. 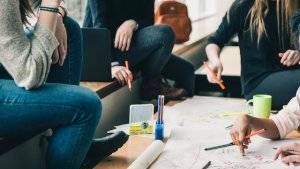 Whether it’s searching for ways to fund projects, grow and develop, learning how best to market yourself and your work, finding inspiration for new projects or even navigating health and wellbeing as an artist—if your art is your passion or your full-time job, getting resources you need can be challenging. Carl Atiya Swanson can help with all of that. Swanson is an artist. 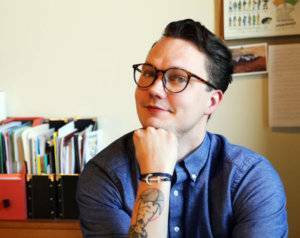 He’s also a connector, a planner, a collaborator and an overall arts advocate and enthusiast. Artist and activist Carl Atiya Swanson. Photo by Sean Smuda. “This is where I get joy—from projects that bring people together, create beauty and connections, and try to make the world better, more interesting,” his website says. Swanson has been involved with the Creative Exchange since the beginning and sees it as a great vehicle for partnership and storytelling. Since its launch in 2014, it has shared more than 350 artist profiles and special features, and hosts 26 toolkits. The toolkits teach fun things, like how to create a pop-up museum, and serious things, like business skills for artists. 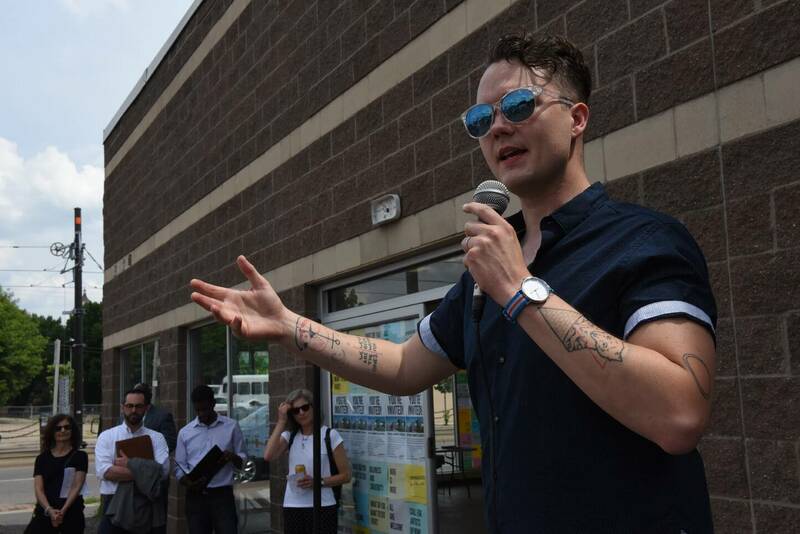 “What’s important to us is that the toolkits are a way to inspire you to action, and to open up new potential partnerships by saying, ‘Look, this is a thing that we can do, that has been done,’” Swanson said. “That artists are everywhere is one of the things that we have at Springboard as a guiding principle, and the Creative Exchange work has really brought that home—places all across America, big and small, are working with their artists. 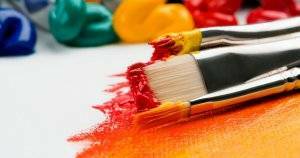 One recent Creative Exchange project included a partnership between the National Endowment for the Arts and the International Downtown Association. IDA members, which include downtown improvement districts, business districts and place managers, were trained on how to work with artists and get collaborations started. The resulting stories and toolkit “serve as inspiration for others to spark these cross-sector partnerships, and we’ve seen the work that we were able to seed continue and evolve after our work together,” Swanson said. Sometimes professional connections can also be deeply personal. Swanson also serves on the board of Dissonance, a network of creatives working to de-stigmatize mental illness and addiction, and provide support to the artistic community. A peek at the mental health campaign developed by Dissonance and Caroline Smith. Of the many projects Swanson has worked on over the year, he says he’s really proud of what he and the others at Dissonance have been creating together, including an upcoming campaign for Mental Health Awareness Month in May 2019. 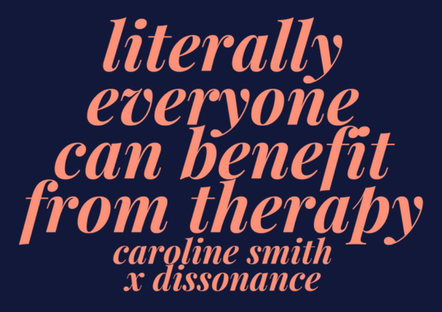 Dissonance has partnered with musician Your Smith, formerly known as Caroline Smith—whose mantra is “LITERALLY EVERYONE CAN BENEFIT FROM THERAPY”—to raise awareness about mental health and help de-stigmatize mental illness. Between work, volunteering and having a family, Swanson makes time “at odd hours and in bursts” to work on his writing and admits that he does a lot of writing using the Notes App on his iPhone. “That’s definitely not how Kerouac did it, but maybe the Notes App is our contemporary typewriter with a scroll of paper fed through it,” he said. He is looking to organize some of his writing into “something bigger” beyond sharing his work on social media here and there. 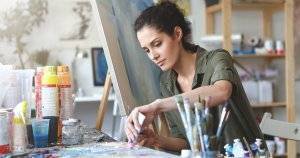 While finding the time to pursue his personal artistic projects can be tricky, staying creative can be just as challenging. Swanson shared a few simple techniques to keep his creativity flowing that we could all learn from: Take time to read for fun, attend shows and go to galleries to let the mind wander. He also believes that there’s no right or wrong way to be creative. It can even be as simple as mixing up your routine. 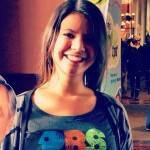 Maribel is a lifelong public media fan and as director of Rewire, oversees the site’s strategy and operations. 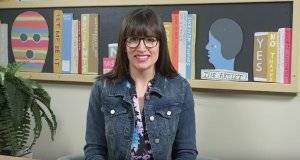 When she isn’t catching up on the latest digital publishing trends, she enjoys traveling, flamenco dancing and going on adventures with her doggos.